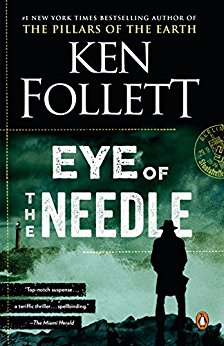 The worldwide phenomenon from the bestselling author of The Pillars of the Earth, World Without End, and A Column of FireHis code name was “The Needle.” He was a German aristocrat of extraordinary intelligence—a master spy with a legacy of violence in his blood, and the object of the most desperate manhunt in history. . . . But his fate lay in the hands of a young and vulnerable English woman, whose loyalty, if swayed, would assure his freedom—and win the war for the Nazis. . . .